Esri sponsored the Global Content Challenge to introduce students to the Living Atlas of the World content and sharpen their GIS skills. Thirteen students used their scientific know-how about our planet, along with their skills working with GIS technology and ArcGIS content, to win prizes in the Esri Global Content Challenge. 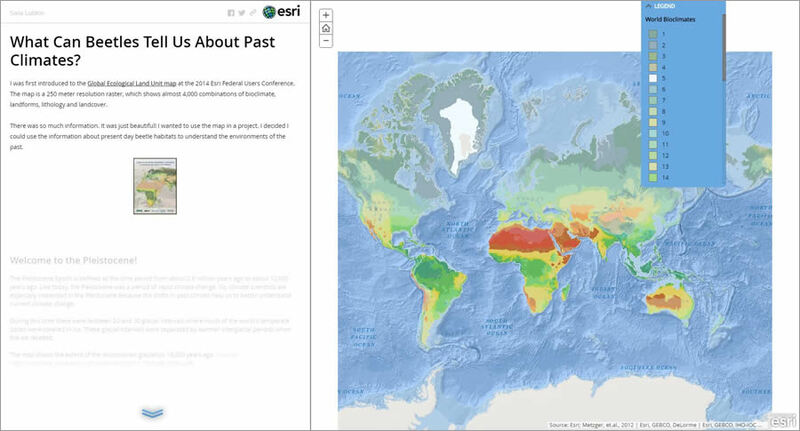 The winners were recently announced by Esri chief scientist Dawn J. Wright, who commended them for "unleashing the power of Esri's Living Atlas of the World content" to create thought-provoking stories related to climate change, tiger conservation, agriculture, food insecurity, urban growth, and other topics. 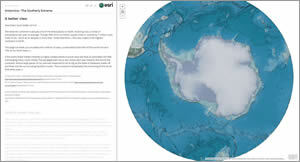 For example, Alicea Zelesny, a master's degree student at the University of Wisconsin, Madison, won first place in the ocean category of the competition with her story map, Antarctica—The Southerly Extreme. 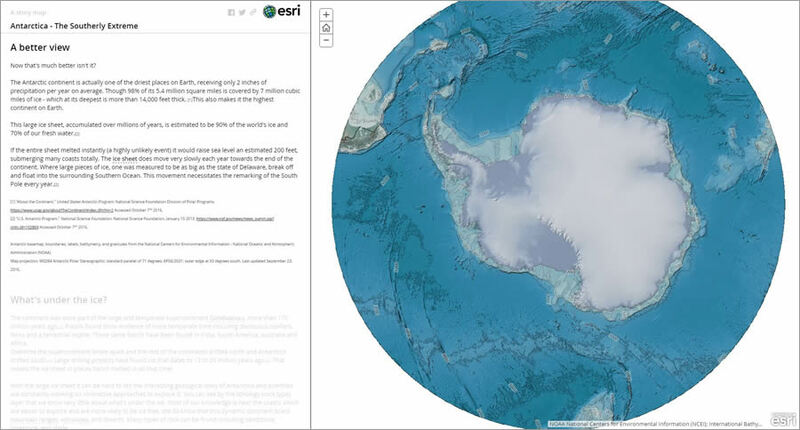 The story map explores the continent's extreme weather, its flora and fauna, the past expeditions to Antarctica, and the scientific research that goes on there today. Alicea Zelesny's story map includes interesting facts about the continent of Antarctica. "I find Antarctica a fascinating place full of wonder and extremes," Zelesny said. "I hope this map will bring the same fascination to others. Additionally, with the recently signed agreement protecting a large area of the Ross Sea [as a marine sanctuary], understanding this continent is proving to be important as an international issue." 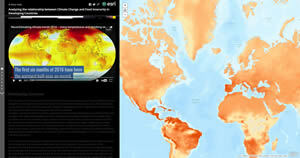 Wright said that the Global Content Challenge made students aware of content available from the Living Atlas of the World such as terrain, ocean, climate and weather, and population data. And she praised their imaginative thinking. "We really appreciate the efforts and creativity of the contestants," said Wright. "At some schools, the contest was used as part of term projects within GIS courses, which is exactly what we had hoped for. Already, several students have written to say how challenging—in a good way—and thought-provoking the contest was, even if they didn't win a prize. They were also appreciative of learning about all the Living Atlas content that they were unaware of previously." 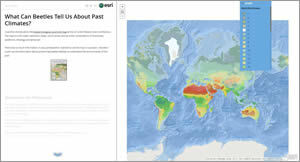 The first-, second-, and third-place winners took home a total of $51,000 in prize money, while those who received honorable mentions received autographed Esri Press books and posters. Seventy people submitted entries to the contest. The winners were selected by a distinguished international panel of judges well-versed in science, GIS, and cartography. Sara Lubkin studied beetle habitats to research past climates. First place ($10,000): Sara Lubkin; Northern Virginia Community College; Virginia, USA—What Can Beetles Tell Us about Past Climates? This story map from Claudia Caceres includes a form people can submit saying what they will personally do to battle climate change such as purchasing an electric car.